Download (v7.20) How to setup Buy me a beer! Full control of your playlists ! Add tracks, album or even playlists to any of your playlist, or Your Music right from the workflow. You can also remove tracks. Search in your Spotify library from Alfred App. 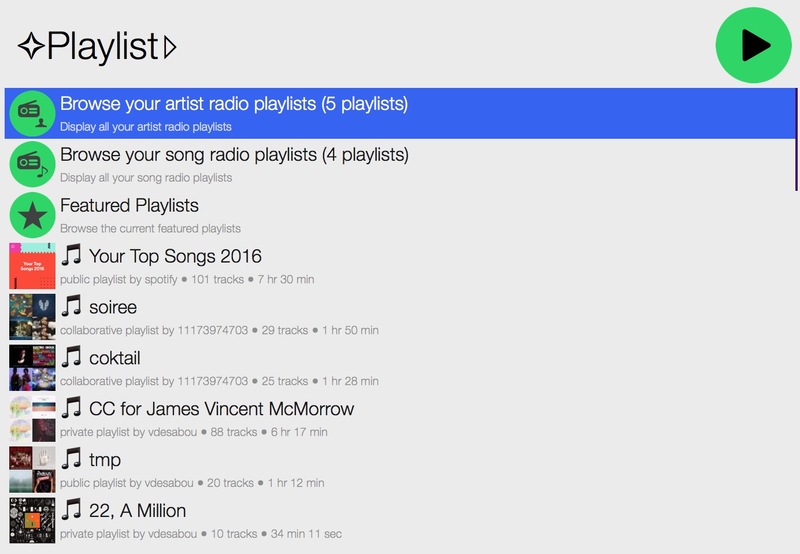 Instantaneous search in your tracks, albums, artists, Your Music and playlists. Missing something in your library? 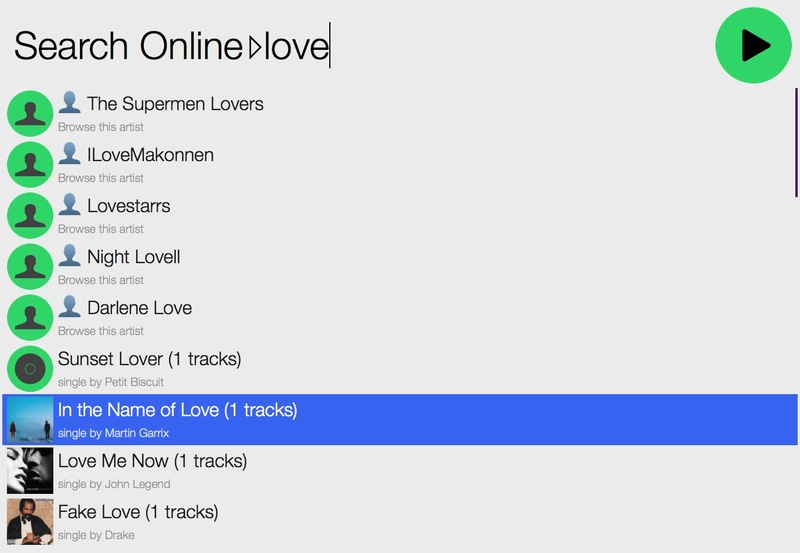 Search online for tracks, albums, artists and playlists. Follow new playlists right from the workflow.